Wow Shinhye's back. So happy . Have watch LJS in IHYV nd he was awesome. Hope he accepts too. Pinocchio fighting !!! @Rania Zeid- thanks for the synopsis. Who do I actually credit this to? I am thinking if using it for the viki page. It's only temporary as once the official synopsis and character description comes out- we will translate it ourselves and change the design page. This is until Nov.
Because I don't know about the DC translation. It sounds like an article and speculation. I am not sure how much we can use. Every time I use the wrong information I end up having to explain to viewers it's not the final design. yes!! 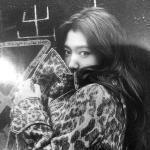 new drama for shin hye!!! Hope the male lead confirms soon! Praying this drama will be a success! Fighting! lets message wellmade to release their part I already did.... wellmade have fb account, you can also do snail mail. @bunnybear‌ I miss you sweety :x I wish to see the others hahaha .
) the thread was made two weeks ago . ck1Oz said: @Rania Zeid- thanks for the synopsis. Who do I actually credit this to? I am thinking if using it for the viki page. It's only temporary as once the official synopsis and character description comes out- we will translate it ourselves and change the design page. This is until Nov. Because I don't know about the DC translation. It sounds like an article and speculation. I am not sure how much we can use. Every time I use the wrong information I end up having to explain to viewers it's not the final design. Thanks. Hopefully lee jong suk will accept the male lead role! I saw their jambangee pictorial, they looked very compatible together. On September 4 2014, Park confirmed to play the heroine of SBS’ new television series “Pinocchio”. Park won the final confirmation from the broadcaster to play Choi In-ha, the heroine, of the romantic drama. The star agency said the drama was intended to star Park from the beginning. The drama portrays the passionate pursuit of justice by young news reporters on the social affairs desk. According to the scenario, Choi has a chronic symptom called “Pinocchio complex,” breaking into violent hiccups when she tells lies. The Wednesday-Thursday drama will air the first episode on November. OMG did you all actually read the translation to the END????? The main leads are supposed to be UNCLE and NIECE. ck1Oz said: OMG did you all actually read the translation to the END????? class="entry-title" style="border: 0px; font-family: 'Helvetica Neue', Helvetica, Arial, sans-serif; margin: 0px; outline: 0px; padding: 15px 0px 0.3em; vertical-align: baseline; clear: both; line-height: 48px; background-color: rgb(255, 255, 255);"Park Shin Hye to star in upcoming SBS drama ‘Pinocchio’I have always loved Park Shin Hye ever since I first watched her in You’re Beautiful. She is as cute as a cup cake and as sweet as lilies.